Every year Charleston lights up the town with millions of multicolored lights during the Holiday Festival of Lights. This sparkling event is something we look forward to each and every year at The Center for Natural Breast Reconstruction, and we highly recommended adding it to your calendar this holiday season. 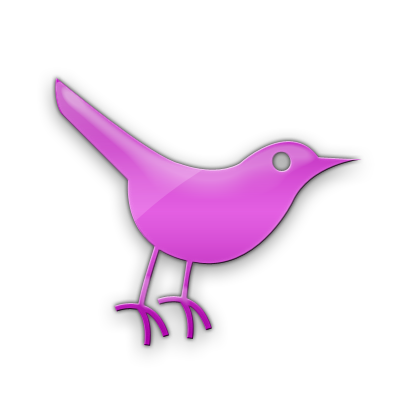 There are many ways you can enjoy this fun and festive event. If the weather is cold, or if you’re juggling small children, we suggest taking the driving tour. The tour is 3 miles long and takes you through over 700 light displays. If you want to really get into the holiday spirit, we recommended parking your car and participating in the festival’s family-friendly activities, shopping, food, entertainment, and more! The Holiday Festival of Lights takes place at James Island County Park, located at 871 Riverland Drive, Charleston, SC 29412. And no need to worry about the weather. It’s open from November 11 to January 1 rain or shine. Ready to enjoy a trip through the lights? Here’s everything else you need to know to plan your trip! Sunday – Thursday: 5:30 – 10:00 p.m.
Friday and Saturday: 5:30 – 11:00 p.m.
Monday – Thursday, get into the festival for only $15 per vehicle (1-15 guests) with the donation of a canned food item or dog/cat food to benefit the Lowcountry Food Bank. What’s your favorite holiday activity in Charleston? Comment below! Nothing beats a nice long walk, picnic, or game of Frisbee in the park on a beautiful sunny day. And, boy, are we at The Center for Natural Breast Reconstruction glad to be located in Charleston, a city full of beautiful parks. Whether you already live here or are planning a visit sometime this year, we hope you’ll take some time to check out a few of our favorite parks in town. Angel Oak Park is home to one of the most stunning Angel Oak trees you’ll ever see. This tree is believed to be hundreds of years old. In fact, it’s one of the oldest oaks known in existence. Aside from its majestic oak tree, this park has plenty of space to go for a walk and has built-in picnic tables. Public restrooms are located on the property. This park is open Monday-Saturday from 9 a.m. to 5 p.m. and Sundays from 1 p.m. to 5 p.m. Admission is free. 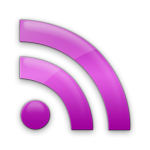 For more info, visit the park’s website here. Washington Square Park is one of Charleston’s more historic parks. Its historic location is also home to Charleston City Hall. The park is filled with mature oak trees, which makes it a nice shady place to take a walk or enjoy a good book. As you walk through the park, you’ll also notice elegant floral displays which are changed throughout the year. This park is in a public location and is always open to visits. No admission is necessary to visit. If you love the water, Waterfront Park is a stop you’ll want to put on your list. It’s located directly on the harbor, so you can grab a seat on a bench and enjoy the sailboats coming and out of the marina. On the park property is a beautiful fountain. On hot days, you’ll see children running through the water and having fun. This 8-acre park is located near the market and other great shopping areas. Whether you’re shopping, or just stopping by to view the beautiful flower gardens, this is a park you want to make sure you get to. If you’re up for an adventure, James Island County Park is the place for you. It spans over 600 acres and is open for fishing, crabbing, hiking, biking, paddle boarding, kayaking, and more. This park is also awesome for dog lovers, as it contains a completely enclosed dog park. It’s only a $2 fee per person to enter the park. For additional fees you can access the park’s campground, climbing facility, water park, disc golf course, and paddle boats. Make a full day of it or camp out for the weekend at this park. Charleston is a beautiful place to visit and explore, especially during the summer months. There are countless activities, wonderful views, plentiful sunshine, and gorgeous scenery. Many people come to Charleston for the beaches, the small town charm, and the Southern hospitality, but did you know that we also have some great camping grounds in our area? For those who love the simplicity of tent camping, to those who want the comfort of a cottage, the James Island County Park campgrounds have it all. Enjoy the beauty of nature and the lovely paved walking trails around the park. James Island County Park offers fully furnished camping options for people who prefer to stay in a cottage. These amenities include full kitchens, bathrooms, televisions, Internet, multiple bedrooms, and gorgeous porches to take in all of the meadow and river views. If you prefer to stay in your own tent and stay closer to nature, there are lush grounds to set up camp, have picnics, and enjoy the scenery. All visitors have access to water fountains, biking, skating, and boat and bike rentals. For more information, call 843-795-9884. If you love RV camping, you’ll truly enjoy your stay at Fain’s RV Park. 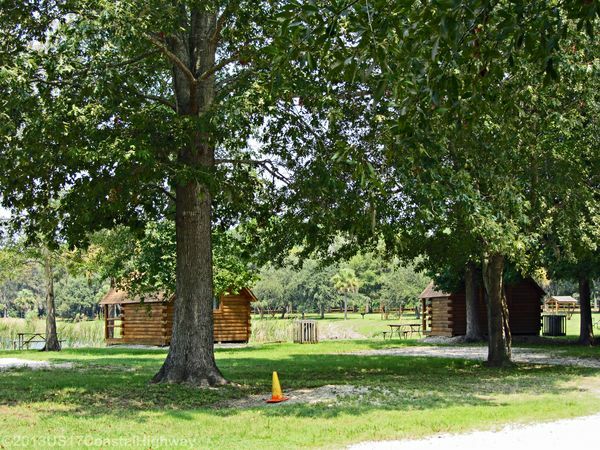 Loved and recommended by all in Charleston, these camping grounds are well-maintained and close to all kinds of local attractions to keep you and your family busy during your stay. The grounds are close to outdoor recreational activites, Givhans Ferry State Park, the Fort Moultrie National Monument, the Shadowmoss Plantation Golf Club, and Devils Fork State Park. With so many options for activities and fun, Fain’s RV Park is the perfect spot for people with a variety of interests and hobbies. For more information, call 843-744-1005. This KOA in Mt. Pleasant sits on the grounds of a true antebellum plantation. You can relax and enjoy your time on 377 acres of privately owned South Carolina Low Country land! 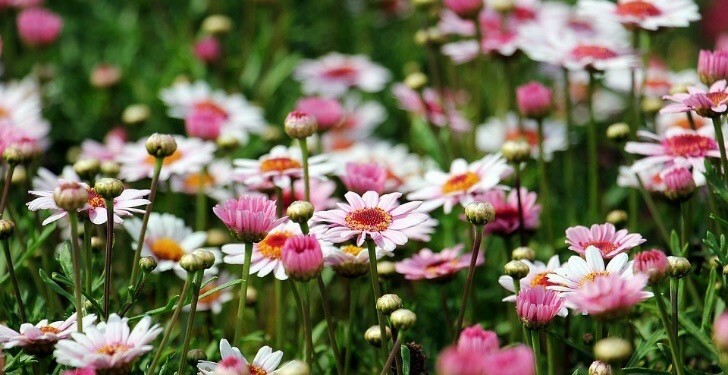 Set up camp by the lake and then check out the area’s other plantations and beautiful gardens. The KOA offers hayride tours that are fun for the entire family. Take a walk to the Blackbeard’s Cove Family Fun Park for mini gold, ride the go-karts, or hang out at the lakefront. For more information, call 843-849-5177. 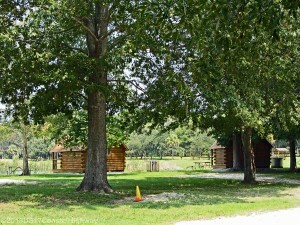 The Oak Plantation Campground has plenty of space for RVs and traditional camping alike. Enjoy true southern charm and a friendly welcome from the staff. Just a short walk from Charleston, you can explore the historic plantations, the downtown district, shopping, golfing, and our beautiful beaches during your stay. There’s plenty of great amenities at Oak Plantation, including 250 campsites, modern facilities, a park, a clean pool, a convenience store to grab your essentials, and more. For more information, call 843-766-5936. Do you love camping? Share your favorite campsites and parks around Charleston with us below! What better way to get in the holiday spirit than by touring the decorated houses and the gazing at the twinkling Christmas lights? The James Island County Park embodies the essence of the season with its 23rd annual Holiday Festival of Lights—one of Charleston’s most beloved nighttime events. Amidst the illuminated wonderland, you and your family will be delighted by the fantastic displays that truly capture the magic of the holidays. 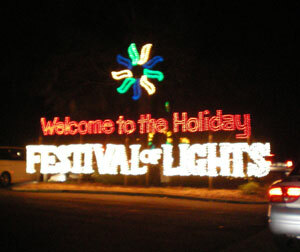 The Holiday Festival of Lights is open seven days a week from November 9, 2012 through December 31, 2012. For more information about the hours and admission, please visit www.ccprc.com/index.aspx?NID=1555. What is your favorite holiday event in Charleston? Share in the comments section below! Charleston County parks offer some of the best scenery, activities, and fishing in the area. With water parks, dog parks, play areas, and campgrounds, the opportunities for quality family time are limitless. The following parks are three of our favorites. A short drive from downtown Charleston, the James Island County Park is open year-round, with something for everyone. Kids love the Splash Zone Waterpark, while adults enjoy the Climbing Wall and boat and bicycle rentals. With over 100 sites and 10 cottages, the Campground offers peace and quiet among the beauty of the park, and anglers will find plenty of opportunity for crabbing and saltwater fishing. 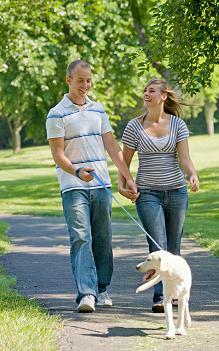 Dogs and their owners enjoy the freedom and open space of the off-leash dog park. The park’s location also makes it ideal for events such as concerts and festivals. Highlights include the Reggae Nights Summer Concert Series, the Lowcountry Cajun Festival, and the Holiday Festival of Lights. With its tropical beauty and lush nature trails, Mount Pleasant Palmetto Islands Park is almost like a trip to Hawaii. Ideally suited for groups and families, this 943-acre park was designed around nature and its splendor, and the peaceful tranquility of Nature Island is well worth the price of admission. In addition to the island, visitors can ascend to the top of the 50-foot observation tower and take in the spectacular view while the kids enjoy themselves in the tower’s play area. With Splash Island Waterpark, nature trails, tidal creek fishing and crabbing, boat rentals, and volleyball courts and horseshoe pits, the park offers hours of fun and excitement. Over 1250 feet long, the Mount Pleasant Pier gives visitors an amazing view of Charleston Harbor and the Arthur Ravenel, Jr. Bridge. Kids and adults alike enjoy fishing off the pier, and the Cooper River Challenge fishing tournament takes place several times during the summer and fall. Prizes are awarded for largest game fish catch in several categories. Rods and tackle are available at the Pier, and after the tournament, you can grab a bite at the River Watch Café and Gift Shop. Throughout the summer, the Pier shows classic movies at sundown, and admission is free. Spring and summer are the time for Shaggin’ on the Pier, the perfect opportunity to dance the night away to live music. All of Charleston County’s parks offer amazing views of the beauty of the Lowcountry. Which park is your favorite and why?